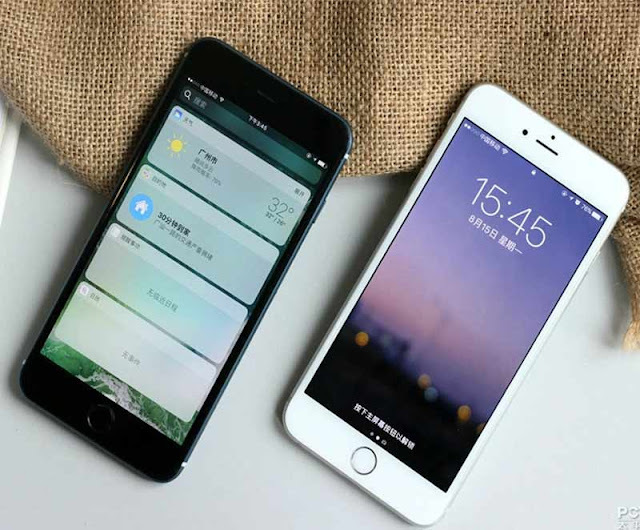 One of the biggest features of iPhone is the speed, Speed of new iPhone is the best when compared to any other android device and it redefines the experience of the users. Over time, however, as you download useful apps, play fun games, take pictures and videos, and more, your phone might start to slow down. So, if above phrase seems relevant to you don’t worry freak out. Many people will give you the advice to change the phone or someone might also suggest you do the factory reset of your device. Before you listen to anyone and buy a new phone or do anything drastic, we would recommend trying one or more of these easy tips, shared by commenters in this helpful Quora thread. One easy way to speed up your iPhone, explains Dhaval Thakur, is to clear its temporary memory, known as RAM. The best part? This trick takes less than 30 seconds to complete. Just hold down the power button on your iPhone until the "Slide to power off" screen appears. Then, press and hold the Home button for a few seconds. Here's a quick video that'll take you through the steps. One thing I've noticed is that this trick won't work if you have Siri enabled on your iPhone. But just do what I did and turn Siri off, dump your RAM, and then turn Siri on again. On iOS 7 and later, you'll notice certain motion effects on your iPhone. For example, when you open or close an app, it "zooms" in and out on the screen. These animations slow down your phone's response time, which is why Alex Lee suggests turning on "Reduce Motion." You can do this by going to Settings> General> Accessibility > Reduce Motion and tapping the slider next to "Reduce Motion." When I first tried this trick, I was shocked by how much faster my phone actually ran. Expect to see these changes: Apps will fade instead of zooming in and out, your wallpaper and apps will no longer shift when you tilt your phone, and app animations will be disabled (like in the Weather app, for example). If you've been getting the "Storage Almost Full" or "Not Enough Storage" notifications, chances are a lack of storage space is slowing down your phone. As Luchino F explains, deleting apps you no longer use, along with old pictures and videos, will free up storage space and speed up your phone. Not to mention it's always a good idea to transfer your pictures and videos to your laptop, or another secure storage space such as a hard drive or Dropbox, instead of relying on your phone. Cache files are temporary data your iPhone uses to speed up processes in Safari such as loading images on a website. However, over time, cache files build up and slow down your phone, Luchino F reminds us. Clearing your Safari cache, along with cookies and browsing history, is basically like taking out the trash and getting a fresh start. This trick is simple: Just go to Settings > Safari and tap "Clear History and Website Data." For a "deeper" clean, go to Settings > Safari > Advanced > Website Data, and tap "Remove All Website Data." One final suggestion from Luchino F is to turn off any background or automatic processes that slow down your phone (and drain your battery). On iOS 7 and later, go to Settings > iTunes & App Store and tap the slider next to "Music," "Apps," Books & Audiobooks," and "Updates" to turn off automatic downloads. To disable background app refresh, which lets apps refresh content even when you're not using them, go to Settings > General > Background App Refresh and tap the slider next to "Background App Refresh."